I am a Google Certified, Online Marketing Geek, family man (5 kids), trustworthy and hardworking professional. I have 13 years of SUCCESSFUL experience in online marketing,...Read moreI am a Google Certified, Online Marketing Geek, family man (5 kids), trustworthy and hardworking professional. I have 13 years of SUCCESSFUL experience in online marketing, having focused and dedicated the last 13 years of my career to online business. This has included managing and marketing some of the top mortgage websites in the UK and also co-founding an award winning web tech company called basekit.com, taking the business through the start-up and launch stage and helping to raise over $10m in VC funding. - Pay Per Click (PPC) Marketing - view information and case studies here - http://www.mintonlinemarketing.net/ppc-management/. Summary: 13 years experience creating, managing and improving online marketing campaigns, in competitive markets for international, national and local businesses. I co-founded and led (MD) a company called 1st for Everything Ltd from 2001 to 2008. This company created and managed some of the UK's top mortgage websites, and had a long term contract (which I established) with a national IFA company bought out by Royal Liver Assurance. We also designed and created a web based software system called ALPS, used by more than 1,000 UK financial advisers to manage internet generated leads and streamline a remote sales processes for financial services sales. I co-founded basekit.com in 2008. 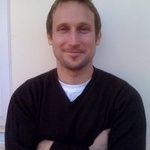 I led the company to win Seedcamp 2008, a web technology incubator competition with entrants from across Europe. Basekit is an award winning company, has gained international recognition and has raised in excess of $10m in VC investment funding to date. I founded Mint Online Marketing Ltd in 2010, and have grown the business in a slow and controlled manner, ensuring that I bring in the right people who have the capability and attitude to deliver results. I am very proud of my team, and believe in them 100% - and am hence very happy to offer our services to help boost the success of other business in the UK and around the World. 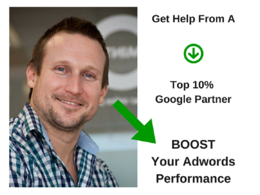 Exceptional report with examples and actionable tips clearly demonstrating Richards AdWords expertise. Thankyou! The service from Richard was awesome! He really knows his stuff and far exceeded my expectations, i've now got a comprehensive adwords campaign running. I will definitely use Richard again in the near future. 5stars! Very pleased with Richard's service, thank you! I need a google re-marketing campaign set up. Cannot speak highly enough of Richard. He is a great communicator, goes above and beyond for each and every task. I highly recommend. Fantastic to work with, Richard obviously knows his stuff. Couldn't have been any more helpful. Richard is doing a great job building my social presence in an ethical manner in order to achieve solid long-lasting results. He's always available for me and willing to go beyond the scope of this contract to help answer my questions and develop my online strategies. Excellent working with Richard, very knowledgable and delivered fantastic results for our client. Will be using again across other clients. Excellent work! Richard has improved my rankings in Google which is the main thing. I can only say good about him and his work. SEO (Mainly tweaking, the bulk is done). Great communication and the results are showing well ahead of schedule. Brilliant Team to work with - Seen some great results, and always goes up and beyond expectations! 100% Recommend to anyone. Great Guy to work with! Knows exactly what he's doing and is very professional. Has brought great results with his SEO campaign! Would highly recommend! Good work - will work with Richard again. Thanks.